Hi, I recently ordered your special Facebook deal, I am over the moon with the quality of produce and am astounded by the level of service, you and your company has just got it right.... however, the reason for my email (I tend to waffle on).. Can you let me know which of your sausages were in the pack as they were devine, my children loved them but could only manage half each as they were so filling. I fully intend to order some more when I run out, do you make them in your shop? Thank you for your time & enjoy your Tuesday. We ordered a large amount of BBQ meat for our works managers meeting from Goddards of Norfolk. It arrived on time was well packed but above all it was top quality and tasted great. From the Managers of Carphone Warehouse. Hi, I've just cooked some lamb shanks I bought from your shop in Downham Market and I must say they were the best I've ever had. Now you have a web site I will be ordering on line. PS the apple chutney was very good as well. Hi John and Co just writing to let you know that the lamb shanks we purchased from you earlier this week were great. Having usually bought pre-cooked frozen ones from all the supermarkets I have to say there is no comparison. The amount of meat on each shank was twice as much as on the shop bought meals and to those who think the hassle is in cooking them - stick them in a slow cooker with whatever you want and just leave them. Yum yum. Dear John, last weekend my husband and I bought one of your large Beef Pies, having never tried one of your home made pies before. The meat in the pie was absolutely tender with lovely gravy. There were no "nasty" pieces in the pie at all, as you often get with "bought" pies. Also the pastry was light and fluffy. Every scrap of the pie was eaten with relish. We would definitely recommend your beef pies to our friends and will most certainly be buying one of your pies again. We have been occasional customers of goddards for a few years and recently stocked up our freezer and the products we received were ace. This xmas we purchased one of their hampers and wow is the only way to describe it. The turkey was amazing and so tasty, gammon immense but the real star was the rib of beef. We had family over for new years dinner and the beef left everyone speechless with how amazing it was. My brother and sister in law who live in essex will be buying from goddards in the future and i will now only buy my meat from there. Even today we are still talking about the rib of beef. The guys and girls there are excellent and the produce next level. Thanks guys for making xmas and new years amazing with the quality of food. For the second year we had the Pheasant/Chicken/Turkey combo for Xmas dinner and it was outstanding, succulent and moist, very pleased. We buy all our meet from Goddards and have never been disappointed. So much better than the mass produced rubbish you get in supermarkets, One chicken breast will feed two of us! Can't recommend Goddards high enough. Top quality delicious meats as always, at very reasonable prices. Just eaten our last joint of beef from the Christmas meat pack, it was delicious (as was it all!). I always get my meat from Goddards love the deals you have, tried the ribs today they were delicious highly recommend to everyone! Excellent quality every time and price compared to supermarket in their plastic set portion plastic jackets. One has to buy trays of to make up the desired quantity that is priced per tray. Purchased the Facebook £60 offer and so glad I did. The bacon is thick and smokey. Just made a sausage and onion plait which was delicious. Tomorrow cottage pie for some of the mince and a chicken casserole in the week. Already considering purchasing the October/November offer! 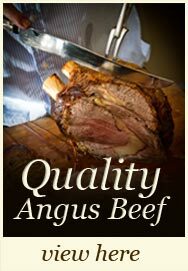 Excellent service, meat well packaged, fantastic quality of meat, very competitive prices, what is not to like? I would recommend this butcher to anyone who is looking for good quality produce at reasonable prices with an excellent service to go with it. 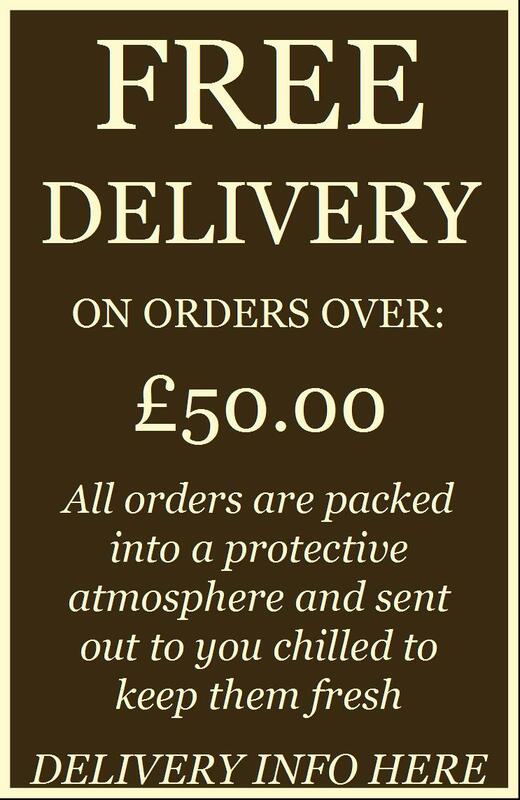 I will now be ordering on a regular basis, just wish my freezer was larger, might have to invest in a garage freezer. Just recieved my first meat delivery having purchased once before from the shop and it looks and tastes as good as expected. Just made a delicious bacon butty and we are having Hunters Chicken for dinner. Will definitely be ordering again once my heaving freezer has room. After been recommended we decided to pop in ... so glad we did ! Can't wait for this weeks visit ... we will be back and highly recommend. Sharon Craig. Date: March 2017 Wow. We ordered the march promotion and it is amazing. All of the meat is to such a high standard and the service was amazing. Especially our delivery driver he was so friendly and even carried the heavy delivery in for me. Will definitely be returning and would highly recommend. Leanne Summers. Date: February 2017 Just ordered our second monthly deal and can't wait for delivery. The sausages and bacon were great and didn't shrink to nothing when cooked and have a fabulous flavour. The rib eyes were tender and tasted great and all joints of meat were fabulous. Paula Davies. Date: December 2017 Came in again today and purchased loads of yummy products. The lady who served us was so lovely, with a fab sense of humour and her customer service skills are a true asset to your shop. She sussed my husband out and joined in on assisting both myself and his mum in winding him up too. Good old fashioned customer service with laughter and a smile x Joolz Gordon. Date: January 2017 We have been occasional customers of goddards for a few years and recently stocked up our freezer and the products we received were ace. This xmas we purchased one of their hampers and wow is the only way to describe it. The turkey was amazing and so tasty, gammon immense but the real star was the rib of beef. We had family over for new years dinner and the beef left everyone speechless with how amazing it was. My brother and sister in law who live in essex will be buying from goddards in the future and i will now only buy my meat from there. Even today we are still talking about the rib of beef. The guys and girls there are excellent and the produce next level. Thanks guys for making xmas and new years amazing with the quality of food. Mark Cox. Date: December 2017 Ordered various products as a Christmas Gift.I couldnt be happier with the service from start to finish.Excellent response time, first rate products and friendly professional delivery man.It made ordering from the US very easy and my brother enjoyed everything. Linda Cannella. Following a recommendation from one of our suppliers, we ordered from Goddards. With a weekend of high end catering events highlighting the 'Best of British' produce we ordered a large quantity of chicken and other meats. They were prepped exactly to our head chefs specifications, taking into account of size consistency. A little difficult when supplying over 200 chicken skin on breasts. Despite not being local to the shop, our delivery arrived well within the temperature requirements. Not only was our head chef very happy with the produce but our customers thoroughly enjoyed their meal. We look forward to using Goddards again.